Join us on the roof for a very special DIDA pop-up. 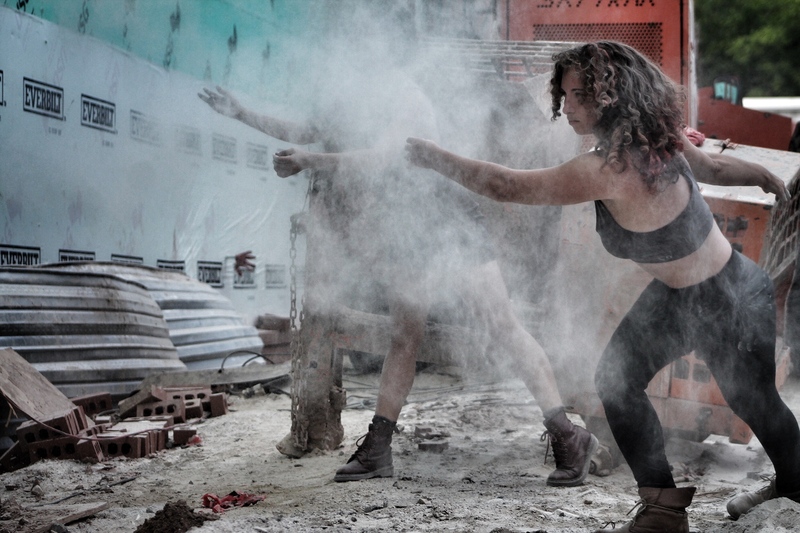 DIDA (Durham Independent Dance Artists), which raises the profile of independent dance in Durham by curating a season of dance performances by local choreographers, has partnered with us and Viget Durham for a rooftop performance by Stephanie Leathers. The performance will take place on the Viget roof, giving audiences here on the roof a unique viewing opportunity. Stephanie’s resolutely physical work illuminates tensions between the human body and the civic landscape we’re so rapidly revising. When vast construction cranes hover ominously over us on every corner, how do we move among them? Where do our bodies fit in this emerging city? Stephanie merges art forms to evoke the nervous system’s response to infrastructure change. Her dancers measure decay and renovation, capital and human gravity, and bring the built world back to a human scale. Beside her people, bulldozers look small. quadrants will begin at 6:30 pm. There is no admission charge. This is an ideal chance to sample Stephanie’s work ahead of her full-length premiere of Home: the Metamorphosis (November 10-12, 2016, venues TBA).